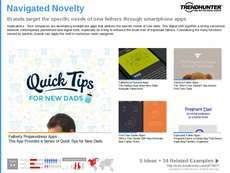 Find Better Ideas, Faster ® with a custom mother's day trend report, our PRO Dashboard and 80+ categories of premium trend reports. 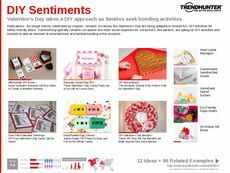 The Mother's Day Trend Report collects gift ideas, events and marketing strategies for the annual holiday that celebrates moms everywhere. The report surfaces top ideas for gifts like flowers, jewelry and kitchen supplies. It also looks at successful ad campaigns for Mother's Day and popular brands that are associated with the holiday like Hallmark. This report is useful for owners and managers of retail stores like floral shops, jewelry and fashion stores to learn how to better market their products to maximize sales around the parental holiday. The report also guides marketing agents in targeting kids and dads as consumer groups for gift purchases. 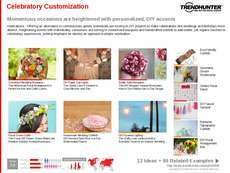 The Mother's Day Trend Report curates products that are marketed as the perfect Mother's Day gifts and provides insights for marketing agents in ways to create the best ad campaign for the celebratory holiday.